This week’s tip comes from Amy G, one of our store staff team members. She finds you can take the 2-at-a-Time skill generally used for socks, and apply it to other projects too, like the sleeves of a sweater. Dena, our Ecommerce Marketing Manager, loves this technique. It can definitely get a little confusing though, so she adds a locking stitch marker to join the two pieces together. She finds this helps keep her from turning her work too soon. Do you have any tricks to keep yourself from leaving a project half finished? I started working at WEBS in September 2010. I learned how to knit 5 years ago and have been crocheting since childhood. When I'm not knitting, I love to be outside with my Black Lab, Ellie. This entry was posted on Tuesday, May 14th, 2013 at 8:39 am	and is filed under Tips & Techniques. You can follow any responses to this entry through the RSS 2.0 feed. You can skip to the end and leave a response. Pinging is currently not allowed. I’ve used this technique before, but for a different reason. 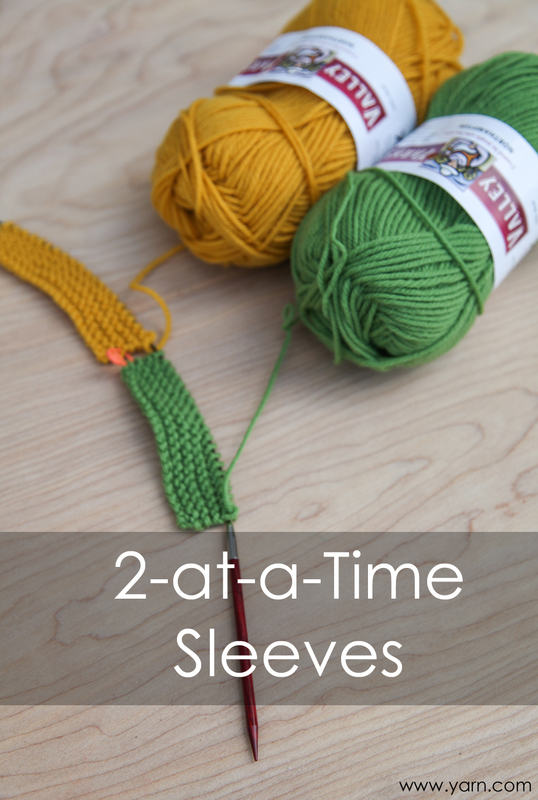 Working on both sleeves at once on the same needle helps ensure they are knit to the same length. Given a long enough cord, or better yet, using two circs, you CAN work sleeves from the shoulder down. I find it’s easiest to work the sleeves separately for an inch or two before switching to either method. 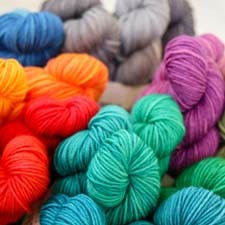 Either way, stitch markers between sleeves are a good reminder to switch yarns. Amen. I’ve done it, too, so I only have to do all that increase row counting once for bottom-up sleeves and the sleeves turn out the same. I did it once but I found the two balls of yarn too distracting. Also, I made a pattern mistake and had to frog two sleeves instead of one. The sleeves are indeed the most boring thing, so I now they are the first thing I do :). For sleeves knit from the shoulder down, I prefer to knit them both using the magic loop method. If the sleeves are knit separately, I like to do them first knit two at a time using the magic loop technique, also. I just makes the whole project seem to move along effortlessly. Connecting the two sleeves is brilliant! Thank you, Dena!